Description: Muslims displaced after the 2002 Gujarat Communal riots kneel in prayer to their God, Allah. 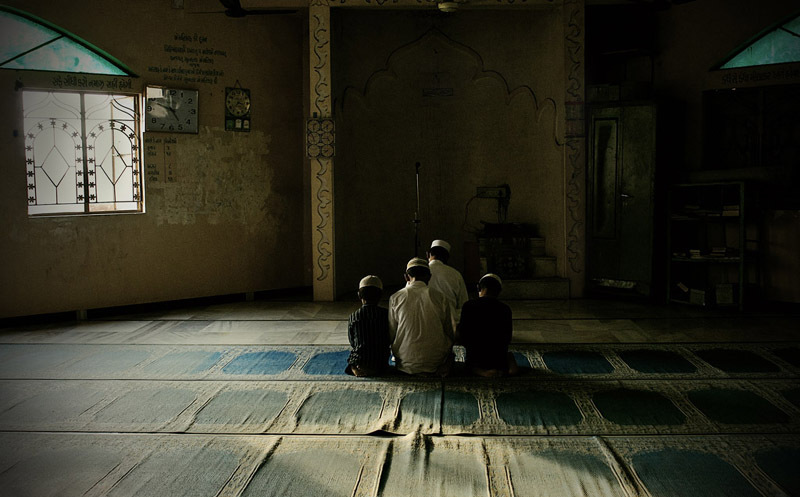 Caption: Muslims displaced after the 2002 Gujarat Communal riots kneel in prayer to their God, Allah. Object name: In Whose Name?